If you're just looking at the status quo in business, you're always going to do the same things and end up being just like your competitors. 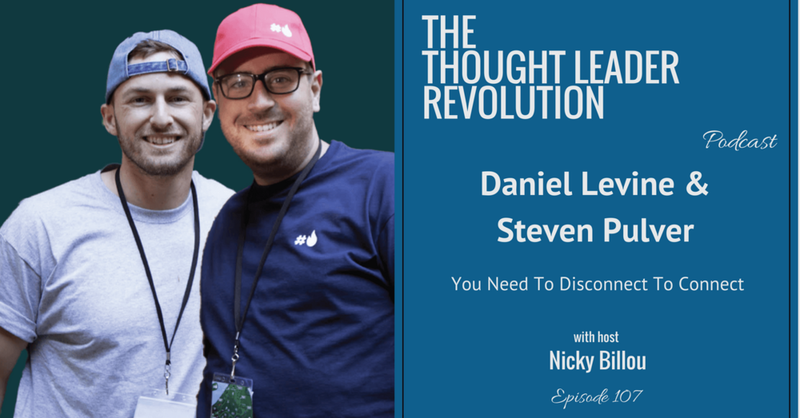 Daniel Levine and Steven Pulver, who are the co-founders of the Fireside Conference, recognized the importance of getting away from technology, pitching, business cards, and name tags for a little while to truly form relationships with top people in their communities. It takes courage and confidence to do something completely new and different, but that is the best way to carve up a new niche within a particular market. To learn more about the Fireside Conference, visit here.